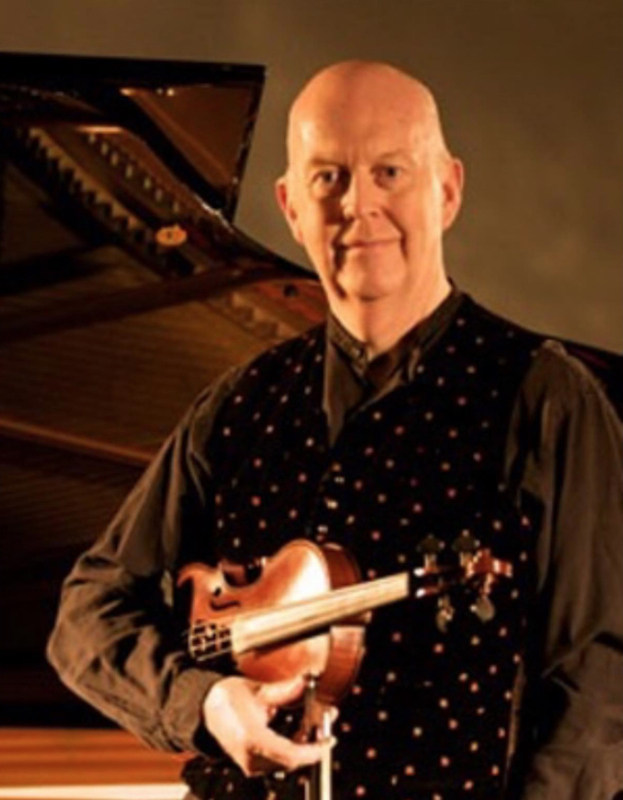 Manus McGuire is an Irish fiddle player who has for many years been involved in performing, recording, teaching and in more recent times, composition. Originally from Sligo and now resident in East Clare, he grew up in a rich musical environment in the North West of Ireland and together with his brother Seamus, he was ideally placed to carry on a fiddle tradition made legend by Michael Coleman, James Morrison, Paddy Killoran and Lad O’Beirne. As a recording artist, he has recorded solo fiddle albums, duo fiddle albums with his brother Seamus, and a number of CDs with bands Buttons and Bows, Moving Cloud, and Brock McGuire Band. He is honoured to have won a number of prestigious fiddle awards such as the 2006 Male Irish Traditional Musician of the year in the U.S. by the Irish American News in Chicago. As well as performing with ‘Buttons and Bows’ and with Canadian singer/song-writer, Emily Flack, these days he is involved in teaching fiddle both at intermediate and advanced levels. In 2006, he was Voted Male Irish Traditional Musician of the year in the U.S. by the Irish American News in Chicago. He received the Bravo Award from Trad Magazine (France) in 2007. He won the prestigious national Fiddle contest, Fiddler of Dooney in his native Sligo in 1970. April 12: Canton Mass, April 13: Rochester NY, April 15: Quinnipiac CT, April 16: Sea Girt, NJ and April 20: Seton Hall, NY. The Irish Perception Series Tour by invitation from the Irish American Cultural Institute. July 8-13 2018: The Swannanoa Gathering, North Carolina. Celtic week, Fiddle teaching. July 20. Galway Arts Festival. The launch of Manus McGuire’s new album “The Copperplate Sessions”, with fiddle recital in the Oliver Plunkett music venue. Manus McGuire will be touring in October 2018 with Buttons & Bows. See them on the 19th of October in the Tyneside Irish Centre in Newcastle upon Tyne at the Tyneside Irish Festival. Manus McGuire will be touring in October 2018 with Buttons & Bows. See them on the 20th of October in the Leeds Irish Arts Foundation in The Inwell in Leeds. Manus McGuire will be touring in October 2018 with Buttons & Bows. See them on the 21st of October at the “Carousel Sessions” in the Chorlton Irish Club in Manchester. Manus McGuire will be touring in October 2018 with Buttons & Bows. See them on the 22nd of October in the Jessop Building at the University of Sheffield in Sheffield. Manus McGuire will be touring in October 2018 with Buttons & Bows. See them on the 23rd of October in The Embankment in Nottingham. Manus McGuire will be touring in October 2018 with Buttons & Bows. See them on the 24th of October as part of the Return to Camden Town Festival, in the Clayton Crowl Hotel, Criklewood. The launch of Manus McGuire’s new album “The Copperplate Sessions”, will be at the Methodist Church Hall, Wine Street, Sligo, F91 HY48. At the invitation of the Shetland Accordion and Fiddle Club, Manus McGuire will perform a concert and launch his new album at 8pm on the 15th November with special guests! The Galway Arms, with Gaelic Storm fiddler, Katie Grennan. This is a complete view of past and upcoming events in Manus McGuire’s schedule. Were you at any of the past events? Why not share your experience and photos with us on the Manus McGuire Facebook page! Oct 27th Tyneside Irish Centre, Newcastle-on -Tyne, U.K.
Oct 28th Coquetdale Music Centre, Thropton, U.K. The Annual Sligo International Choral Festival, is wonderful weekend of Concerts, cabaret, workshops and much more.